If you’re looking for an absolutely unique and beautiful fruit to grow, try propagating a dragon fruit. Dragon fruit, or pitaya (Hylocereus undatus), is the name of both the cactus and the fruit it bears. 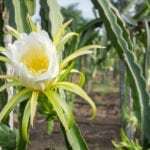 Native to Central America, pitaya plant propagation also occurs throughout the tropical and subtropical regions of China, Israel, Vietnam, Malaysia, Thailand and Nicaragua. Interested in growing a new dragon fruit of your own? Read on to find out how to propagate pitaya. Pitaya is commonly referred to as dragon fruit in English and is a reflection of its Chinese name which literally means ‘fire dragon fruit.’ It is also called pitahaya, night-blooming cereus, and strawberry pear, amongst other nomenclatures. Dragon fruit is a perennial, epiphytic climbing cactus that has fleshy, jointed green stems composed of three horny scalloped wings. Depending upon the variety, each wing has one to three short spines. Both the fruit and the flowers are edible, although generally only the fruit is eaten. As the name ‘night blooming cereus’ indicates, pitaya only blooms at night, opening in the evening and lasting until mid-morning the next day – just long enough to be pollinated by nocturnal moths. 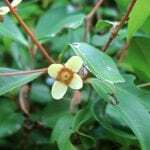 Blossoms are highly aromatic, bell shaped and yellowish-green and are around a foot long and 9 inches (30 cm. long by 23 cm. wide) across. The resulting fruit is produced in the summer. Before growing a new dragon fruit plant, it’s important to know a few things about its needs. Dragon fruit is a climbing cactus that will require some type of support to grow up on. Although pitaya is a tropical to subtropical plant and needs heat and sun, it’s better to situate the new plant in a dry area with partial sun. Pitaya doesn’t’ like cold weather and, in fact, can only survive short spurts of freezing temps and frost. But, if you live in a cooler climate or in an apartment without access to a garden, don’t fret, pitaya plant propagation is still possible. Dragon fruit plants adapt well to container growing, and the beauty of propagating a dragon fruit in a pot is the ability to move it and overwinter the plant indoors. 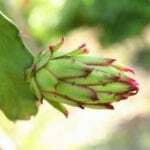 Dragon fruit propagation occurs either from seed or stem cuttings. 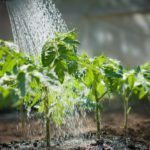 Propagation from seed is less reliable and will require patience, as the time from propagation to fruit production may take up to 7 years. Propagation is more commonly accomplished via the use of stem cuttings. 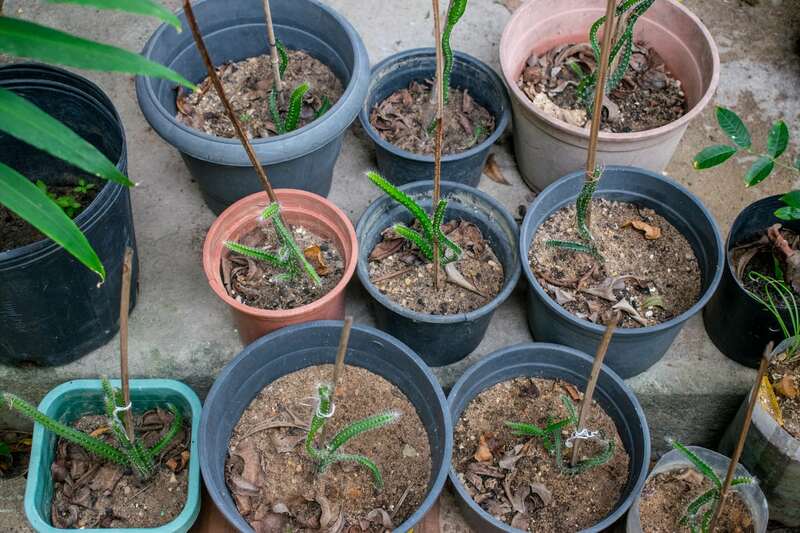 To propagate stem cuttings, obtain a 6- to 15-inch (12-38 cm.) stem segment. Make a slanted cut at the base of the stem and treat it with a fungicide. Leave the treated stem segment to dry for 7-8 days in a dry, shaded area. 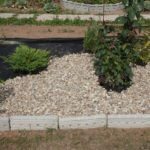 After that time, dip the cutting into a root hormone and then plant directly in the garden or in a well-draining soil in a container. Cuttings will grow rapidly and may produce fruit 6-9 months from propagation. If you would rather try your luck propagating from seed, cut a dragon fruit in half and scoop out the seeds. Separate the pulp from the seeds in a bucket of water. Place the seeds on a moist paper towel to dry overnight. The next day, fill a tray with well-draining seed starting mix. Sprinkle the seeds onto the surface of the soil and lightly cover them with a sprinkle of medium, just barely covering them. Moisten with a spray bottle and cover with plastic wrap. Keep the soil moist. Germination should occur in 15-30 days. When the seeds have germinated, remove the plastic wrap and transplant them to larger pots.